If you want a pair of noise cancelling headphones but aren’t enticed by the Bose ecosystem, Sony is a great competitor. Its flagship headphones reign king within the ANC space, and the WH-CH700N is a lightweight, portable set of headphones with a fine microphone for those who frequently telecommute to work. There’s no question that Sony’s WH-1000XM3 is the cream of the crop when it comes to noise cancelling headphones. If, however, you don’t have the means or desire to spend upwards of $350, then the Sony WH-CH700N is a viable option. These noise cancelling headphones support full Google Assistant and Siri integration for hands-free commands and notification readouts. Plus, they boast excellent battery life: a must-have for nomadic listeners. Who is the Sony WH-CH700N for? 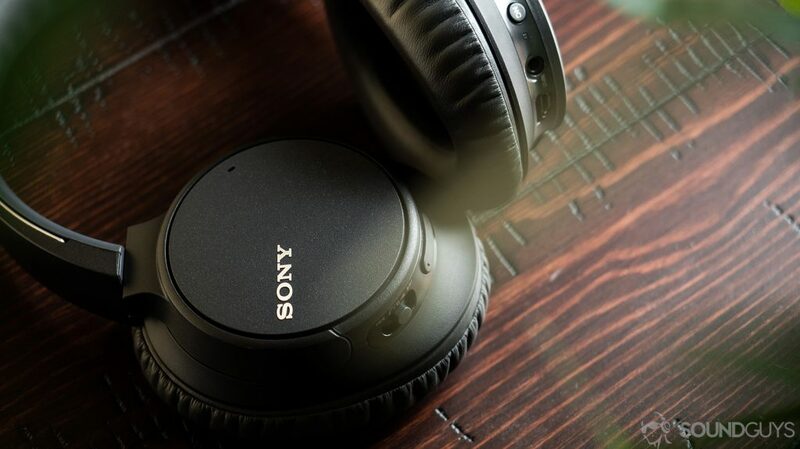 The Sony WH-CH700N headphones let listeners configure the noise cancelling button to access Google Assistant or Siri due to its integration. These over-ear headphones are a middle-ground option for consumers considering the WH-1000XM3 but may not have the money to stretch for it. What the Sony WH-CH700N lacks in noise cancelling performance and comfort, it makes up for in weight—or lackthereof—and price. Additionally, since these support aptX HD, they’re a great option for traveling audiophiles who don’t want to choose between sound quality and convenience. Listeners can reconfigure the noise cancelling button to access Google Assistant or Siri instead. The plastic headset is lightweight with rotating ear cups, which makes the WH-CH700N a great travel companion for those who don’t want to shell out for Sony’s flagship headphones. Attached to each ear cup is a moderately comfortable oval cushion. Unfortunately, the padding isn’t deep enough to prevent the driver grill from rubbing the outer ear, causing irritation. Discomfort is further amplified for those who wear glasses. While the lightweight form factor is great for travel, the headphones would benefit from deeper cushions. Although the headphones aren’t the most comfortable, the positioning of the playback controls makes on-board operation easy. Each function has its own dedicated button, so you don’t have to remember what two taps does as opposed to one. 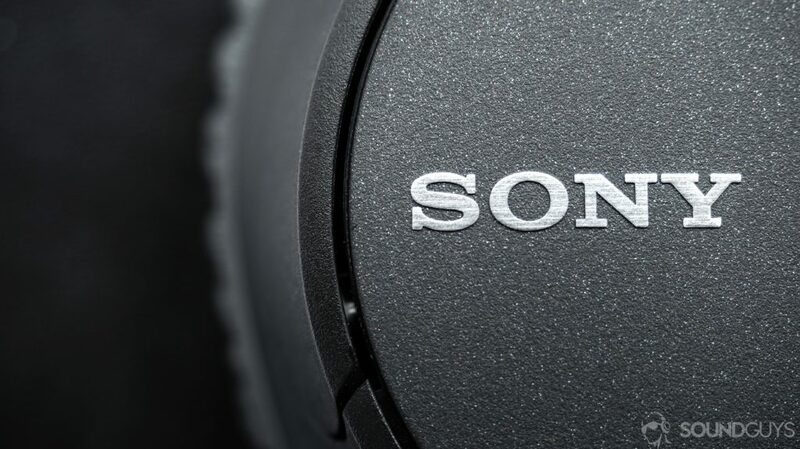 Plus, the noise cancelling button can be reconfigured to access Google Assistant or Siri via the Sony Headphones app. I found this configuration to be more useful as there are few times when I preferred noise cancelling off. The microphone is able to effectively relay voices but tends to create an echo during real world use. The microphone chart depicts an even sound but tends to relay an undesirable echo with voice transmission. Regardless of if I was located in a quiet room or coffee shop, the echo persisted. It isn’t pervasive enough to forgo the headset microphone, but is something to be aware of. Being able to take full advantage of Google Assistant with the Sony WH-CH700N is wonderful. I loved having my incoming texts read aloud to me when I was baking or my phone was in another room. Plus, it’s more effective to press the button for Google Assistant access than repeating, “Ok Google,” into a wireless headset, hoping that it registers your command. If the battery is depleted, wired listening is an option via the included 3.5mm cable. After subjecting the headphones to a constant 75dB(SPL) output, our objective testing yielded a standalone playback time of 43.57 hours with noise cancelling on. This is an excellent readout, earning the Sony WH-CH700N a high score with regards to battery life. While it is annoying that Sony opted for a microUSB input, it’s a minor inconvenience for such extended playback. If you just need a bit of juice to get you through the morning commute, 10 minutes affords an hour of playback. Even though these cans don’t support Sony’s LDAC codec, they do provide aptX HD support which also combats perceptible audio-visual latency. If you don’t care much for audio quality and would rather have connection stability, you can inform the Sony Headphones app of your preferences and adjust accordingly. Of course, if all else fails, wired is a tried-and-true option that outperforms any codec, assuming your phone allows it. Bass response is slightly lacking compared to mids and treble frequencies. The Sony WH-CH700N features a neutral midrange frequency response and lightly underemphasized low-end. If you’re a fan of acoustic, indie, or vocal-heavy music, these headphones are a great pick as they clearly reproduce mids and highs for an engaging sound. Bearing that in mind, if you’re someone who enjoys hip-hop or electronic music, these will sound underwhelming. The dynamic drivers are angled to be parallel with the ear canal for a more realistic representation of the sound that takes full advantage of the human ear anatomy, leveraging the pinna prior to soundwaves entering the inner ear. The headphones are hardly able to attenuate bass frequencies. The Sony WH-CH700N can filter out some low-end noise, but isn’t nearly effective as its flagship counterpart. Isolation and noise cancelling are just ok. When comparing the WH-CH700N to the WH-1000XM3 it’s obvious that the former do an underwhelming job at attenuating low-end noises. Real world listening confirms, this as passing cars had no trouble breaking through the noise cancelling barrier, and passing male voices remained audible too. That said, it’s still more effective than no noise cancellation, and can aid in the prevention of noise-induced hearing loss. Digital noise cancelling is effective enough for predictable, controlled chatter, but the technology struggles with loud, rumbling noises. In Tara Terra’s song Lorelei, the bass frequencies like drum hits and the bass guitar lack the predictable emphasis that I so enjoy. To hear this, skip ahead to 0:29. Here, the first major bass slide and pluck is initiated by Nick Soria. Even though it’s only accompanied guitar picking, the bass lacks both clarity and oomph. This becomes even more difficult to hear six seconds later when Emily Blue sings, “I will go,” as Soria repeats his introductory playing because Blue’s vocals are masking the already attenuated bass response. While low-end reproduction is underwhelming, vocals and treble instruments sound excellent. Blue’s ethereal tone is easy to track throughout the song’s entirety. Even during the bridge at 3:00, which is laden with guitar riffs and kick drum hits, Blue’s falsetto “oh,” remains clear. Additionally, snares and cymbals are relayed clearly toward the end of the bridge at 3:04. The Sony WH-CH700N sound siganture is enjoyable for those moments when you want your music to sound a touch more clear due to the exaggerated midrange and treble response and don’t care much for booming bass. Should you buy the Sony WH-CH700N? The headphones retail for just shy of $200, and the circumaural ear cups are spacious. If you prioritize a lightweight build and extended battery life first and foremost, then the Sony WH-CH700N makes sense. In fact, when it comes to noise cancelling headphones in this price range, you’ll be hard-pressed to find a better performer. If, though, you want the best noise cancelling on the market, these headphones will leave you yearning for more, perhaps even wishing you’d gone with the Sony cans or equivalent Bose QuietComfort 35 II. For the rest of us, the WH-CH700N is good enough and doesn’t cost a fortune.